I look out my window at hundreds of tiny cars as my plane descends into Denver. There are so many people in the world. I get predictably overwhelmed by this thought whenever I am at a baseball stadium, a concert, or looking down at a city from the sky. There are millions and billions of people, everywhere. I share personal histories with a few of them because we happened to be at the same place at the same time for one fleeting, overlapping moment in our lives. And yet somehow these histories with these people are unshakeable. Somehow they still matter, years later. They are still worth traveling great distances for. Over the course of the weekend I will spend time with three different people from three different phases of my life: Anahitta from middle school, Scott from study abroad, and John from grad school. All three have, at one point, been my closest friend. So it’s strange that anxiety and dread have outweighed my excitement leading up to this trip. I left work early yesterday with a crippling stomachache. I went to bed with a fever over one hundred. I had already made myself sick with my longing for what I feared might not still be there. My curse has always been caring too much. I am nostalgic to a fault. I never get over anything. It has brought deep satisfaction to my relationships and rich color to my life, but it has also made me a selfish friend. My biggest fear is always that the people I love will move on into happy new lives without me. I haven’t always taken the natural ebbs and flows of relationships with grace. I am so afraid of being the one who is left hanging on tighter. Of being rejected by those who once loved me. I don’t know where this fear comes from, but it is what caused me to hesitate in reaching out to these friends in the first place. It is why, with two of them, (the two who already live in Colorado), I suggested only that we meet for lunch. Just for lunch. Because to ask for more than that would be to risk being a burden, or that they might say no. I understand, on some level, that this is illogical. These are people I used to do everything with. Scott and I traveled a continent together. John and I basically lived at each other’s apartments and at IHOP whenever we weren’t sleeping or in class. But what if they no longer remember all those times and jokes and moments that transpired between us? What if they’ve moved on? I am exhausted when Anahitta and I find each other at the airport. It is past midnight, but it is an amazing sixty degrees outside as we sit in our rental car trying to figure out how to start the damn thing. It’s a red Mini Cooper with white racing stripes. Not what we requested. The key isn’t really a key. How the hell do you start this piece of crap? It’s so late. We laugh until we can’t breathe. We always laugh until we can’t breathe. She is the only person who has ever been able to make me laugh like this. She moved away when we were sixteen. 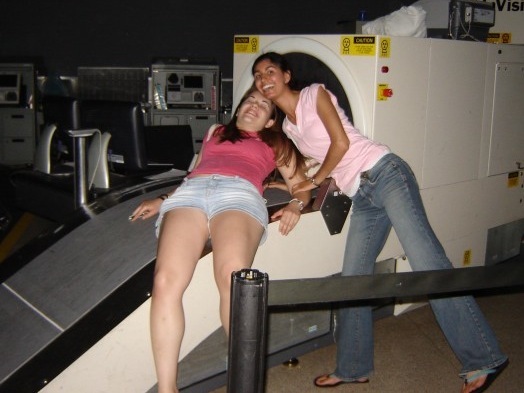 ^Anahitta and me in 2005, at the St. Louis airport the night a big storm caused all the power to go out. All the employees abandoned their posts. It was pure chaos. Of course we had to take advantage of this opportunity to photograph ourselves in all the normally-forbidden airport areas, such as the conveyer belt. At the hotel, Anahitta and I reminisce about 7th grade and all those afternoons at Leah’s house spent waiting for Bye Bye Bye to come on TRL. We may have different ethnicities, skin colors, and religions, but we will both always know exactly what it was like to be thirteen in America in the year 2000. So we remember precisely how important Bye Bye Bye was. Is. We pull up all the classic music videos on YouTube. Britney Spears, Destiny’s Child, O-Town. And we dance. The next afternoon, Scott saves us from the ghetto in which I booked our hotel (oops) and shows us the real city. He is not buying this “meet for lunch” thing. He wants to see me, he wants to spend time, he insists. This makes me so happy. Scott and I share a million memories about Australia over dinner the first night, memories of travel and friendship and adventures gone wrong that I suddenly realize I have been suppressing because they were so good. Because there was no tangible way to take them home with me without feeling alienated from everyone and everything in my other life. Things I was afraid to remember because I was afraid he’d forget and I didn’t want to be the only one left with the memory. But he remembers things I don’t even remember. Like how mad he got the day I hitchhiked down the mountain. ^Scott and me in my Australia dorm room in 2007. These are the types of things you routinely find yourself doing when you have a limited internet quota. He tells me that when he thinks about pure happiness and perfection, he thinks about Australia. He still keeps the photographs over his bed. I am so relieved he has felt the way I have, all this time. I make a mental note to put my photographs back up. Later, Anahitta and I help Scott attempt a handstand on our hotel bed at the exact time of night his goofy side (his “little boy mode,” I used to call it) would always come out in Australia. I am amazed at how someone I knew for five months five years ago can still feel so familiar to me. He spends most of the weekend with us. On Sunday, Anahitta and I have lunch with John. John and I share so many good memories from grad school that I’m sure Anahitta must be bored out of her mind. But there are just so many. And they simply must be shared. My God we pulled a lot of pranks. 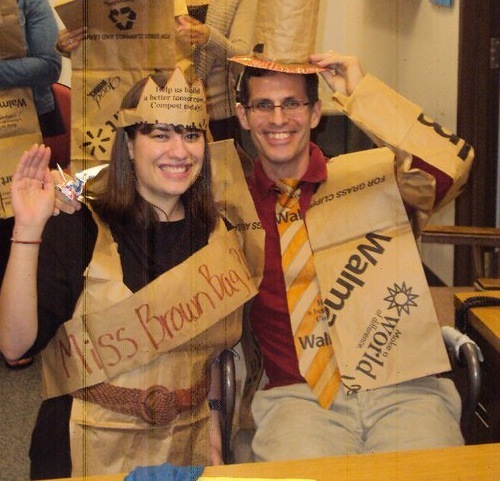 ^John and me the day we helped orchestrate the great Brown Bag Prank of 2010, in which our whole cohort showed up to our department’s “brown bag meeting” dressed in costumes made entirely out of brown bags. John is also up for more than lunch. He takes us through downtown Boulder. We go into a bookstore and, within minutes, John and I are sequestered at the corner of a book display, our eyes lit up, speaking rapidly about every thought we’ve had since we last spoke. I think maybe the biggest thing John has done for me is given me permission to give voice to all my deepest, weirdest thoughts. He understands exactly what I mean when I say things like I get a perverse satisfaction from spending time with people I don’t like, or that being a therapist makes me feel disgusted with myself, or that I had an existential crisis buying a couch. And I know what he means when he says he has built secret rooms in his metaphorical house or that he is profoundly affected by the wind. At times the rest of the bookstore seems to grow silent. I don’t think anyone in the room, or the world, could possibly follow the pace and range of topics and darkness and lightness and humor and metaphors of this conversation. But to us, it makes perfect sense. On Monday morning Anahitta and I return the red Mini Cooper with white racing stripes. We still hate this car. I ask Anahitta what her favorite part of the weekend was as we ride the shuttle to our gates. 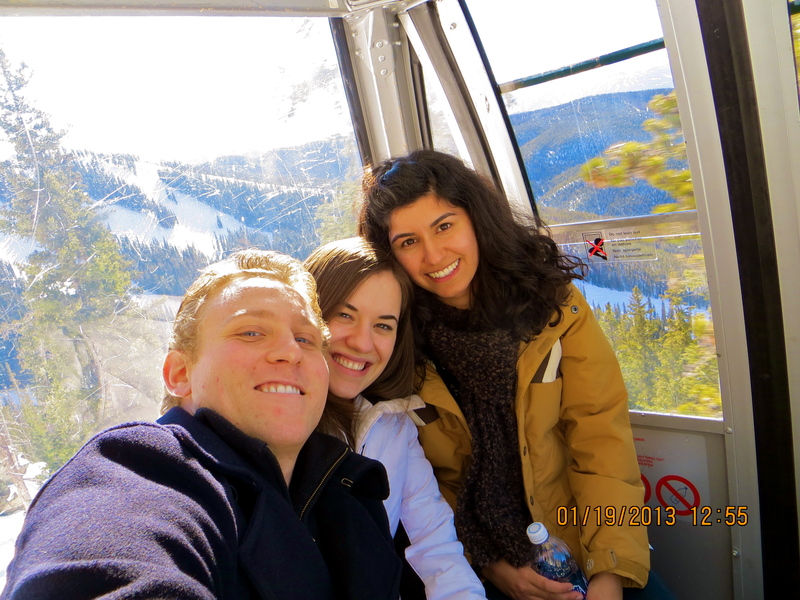 She does not mention riding the gondola into the mountains. She says her favorite was the night we had dinner at the mall and bought sweaters. Because it felt like something we could do any day. I can’t follow that answer. It’s the perfect answer. Alone at my gate, I feel like I have been hit by a tidal wave. I have re-lived three major parts of my life in the past three days. It’s a lot to sort out. These three friends have allowed me to be three past selves: the silly pre-teen whose successful day is one in which she has laughed until she can’t breathe, the easily-excitable twenty-year-old getting her first real taste of adventure, and the grad student trying to balance her hunger for knowledge and wisdom with her propensity for naïveté and pranks. I think of two things as I board my plane. The other thing I think about is the line that has gone through my head whenever I have had to say my final goodbye to someone before one of us moves away. I always think, I will never have a friend like that again. I thought that ten years ago with Anahitta, five years ago with Scott, and two years ago with John. And a lot of times in between. And now I know for sure that it’s true. It was true every time. It’s always true. But now, for the first time, I understand that this is not a sad thing. It has never meant that I will spend the rest of my days mourning. It has meant that I have been opened up to new parts of life and myself. It means that I have been lucky. It means that, out of all the millions and billions of people in the world below my airplane as it takes off into the sky, I get to call a few of them my friends. And that when I get to see them two years from now, five years from now, ten years from now, and fifty years from now—I will know that nothing has changed. You can read more about my attachment anxiety here and here. Previous Previous post: Doug parties with the BFFLs. An award for you. Thank you so much for your comments, they mean a lot. There is no better way to give inofamrtion to people than on this way.The right inofamrtion always find way to targeted people.I completily realize you admin.Great recourse of info. That made me cry! I was so nervous meeting my American friend who flew all the way to Australia to hang out with me, even though we only spent 1 hilarious week in Barcelona 10 years prior. We laughed and laughed, best Brisbane to Sydney road trip EVER!! That sounds so fun!! It makes me think of a friend I once had for just two weeks. She is Japanese, and we spent 2 weeks traveling New Zealand together back in 2007. If/when we see each other again, I just know that we will have a blast. Thanks for sharing your lovely experience! Proposal The event is the shift of use of land from previously dloeeishmd domestic properties to your speedily food/drink courtroom of fold away catering units into long-lasting storage containers. The proposed progression will begin procedure 3 several hours earlier than kickoff and will be operational on match times only, refer again to party management plan. Also built-in in software may be a long-lasting fence and gates which encloses the location alongside two sides. Gorgeous post about true friendships – to all of mine, love you to pieces. I enjoyed taking a peek into your friendships. I think everyone who reads this will want to revisit their past friendships that made the laugh, talk, stay up all night, act silly and be themselves. Can’t wait to read more. I’m glad I’m not the only one too- thanks! Just saw ths on Freshly Pressed! You go, girl. Love this as always! There’s nothing like old friend. Congratulations for being Freshly Pressed. Ah! What a beautiful story and so well written. It makes me miss my old friends from way back. I should get in touch again – you’ve inspired me :). Beautifully written!was tearing up remembering my own friends.For someone who has recently moved away from home I feel your friends are the ones you’ll miss the most.Being in a new place with new people, I feel I just have friends with whom I can make small talk or exchange pleasantries but wonder if I would ever have some one whom I can really speak my heart out to.And that feels like having to hold your breath day after day till you find that someone who is your release. Yes! I know exactly what you mean. I have new friends here but its not the same as those old friends who have gone through so much with you. I can definitely relate to a lot of this! So wonderful when that happens. I love how I remember certain things and they remember certain other things, so that when we get together we both leave with twice the memories. Such a fantastic post about friendships and relationships in general. I also feel like the one who gets “more attached” and this made me feel all warm and gooey inside. What a lovely post. THanks for the nice stroll down memory lane. Nice entry–I sometimes feel this way! The 9 Green Box 5 Money Tree Plants Braided into 1 Tree -Pachira-4 Pot is value for money and delivery sevirce for your home with special rates and the funds from all of these loans are limited to your maximum of $1,500 enough to take care of an urgent situation,but little else. “Because there was no tangible way to take them home with me without feeling alienated from everyone and everything in my other life.” This really struck me! Growing up living a duel life which consisted of half living in a favela in Brazil and half living in an upper middle class American suburb, I can completely relate. I’ve never had the right words to express it, nor have I ever heard anyone speak on it. So THANK YOU! Sounds like an extremely interesting childhood! So glad you could take something valuable from this. Thanks for stopping by! This is a great post, thank you for sharing. I’m glad to know there are people out there who also feel they hold on too tight to friendships. People that are “afraid of being the one who is left hanging on tighter. Of being rejected by those who once loved me”. Thanks. I’ve got a whole wall of comments to prove you’re not alone! Thanks! I feel saifetisd after reading that one. This was really great. I did study abroad with some classmates when I was in high school and it was such an amazing time. I made some really great relationships and connections, but I eventually lost touch with those people when I went on to college. I think that it is easier to accept change if you are changing yourself, going out and experiencing new things, so that you don’t feel so left behind. I still really miss those friends though! Thanks for sharing. I can relate to what you wrote about here. I moved across the country to go to college and promptly met my three best friends in the entire world. We spent every day together, lived together, and studied abroad together, and then one day we graduated. And we moved to four separate cities. We see each other once or twice a year now and though it took me some time to realize what you articulated here — that they are my best friends no matter where we are or how long it’s been since we’ve seen each other — I’ve learned to be appreciative that I met them rather than sad that I don’t see them everyday anymore. Great post! They sound like great friends! You are lucky to see them even a couple times per year. And yes, that really is the key- being happy that you have them rather than being sad that you don’t have them all the time. Took me a while to learn that one. like binaural hermseis favored among players, organizations, and the ones doing work on their personal improvement as well as spiritual mind say. They’re popular all over the world to meditation and as A very good and/or fast method in order to avoid ones aware mind and duty straight Because of the subconscious. Within the last several years They usually have become most popular. Loved this! If anything it made me appreciate the friends I have now as well as those from the past. Great post! Thank you so much for writing this! I’ve never heard someone voice the exact same feelings I get towards my loved ones, both past and present! I love how you mentioned that you are lucky – and I feel the same! Great post! So, if you happen to egnage while in the lie with the witness, it happens to be a criminal offense. But when you do not, that is a criminal offense in addition. What is a single imagined to do in Decide Fensom’s court? Is there a way out inside a situation such as this? I also tend to have trouble moving on. I work wildlife-related field jobs that last just a few months, and I’m always in tears by the end because I don’t want to say goodbye to the friends and experiences. As much as I want to go back, I know the times can’t be repeated. I can sure reminisce with the friends when we do get together again. Unfortunately I’ve been away from home for 2 years, and I haven’t spoken with my closest friend back there that much. I’m hoping we click again when I get back there in a few months. Long distance friendship is harder than I thought, but it’s worth it in the end! I’m a little late on the reply, but this is truly touching. It’s an overused compliment but I can honestly say this is one of the best posts I’ve ever read. It feels so good to know that I am not a freak of nature for holding onto things as fiercely as I do. I share the same sentiments as you on so many levels, particularly about being afraid that you need someone more than you need you. Not enough good vibes for this post, way to go! I appreciate you anoiizngg over the consideration of my piece, and congrats to Unstable, great scene, must’ve taken forever to make, and congrats to everyone else.For all those who didn’t make it, keep your chin up, some amazing creators out there, and remember everyone can’t win all the time, but just because you didn’t get included in the finalist doesn’t mean your pieces are not good. To be perfectly honest, I wonder if I stand a chance against alot of the entries week after week, some of them simply amaze me. In the coiaemcptld world we live in, it’s good to find simple solutions. 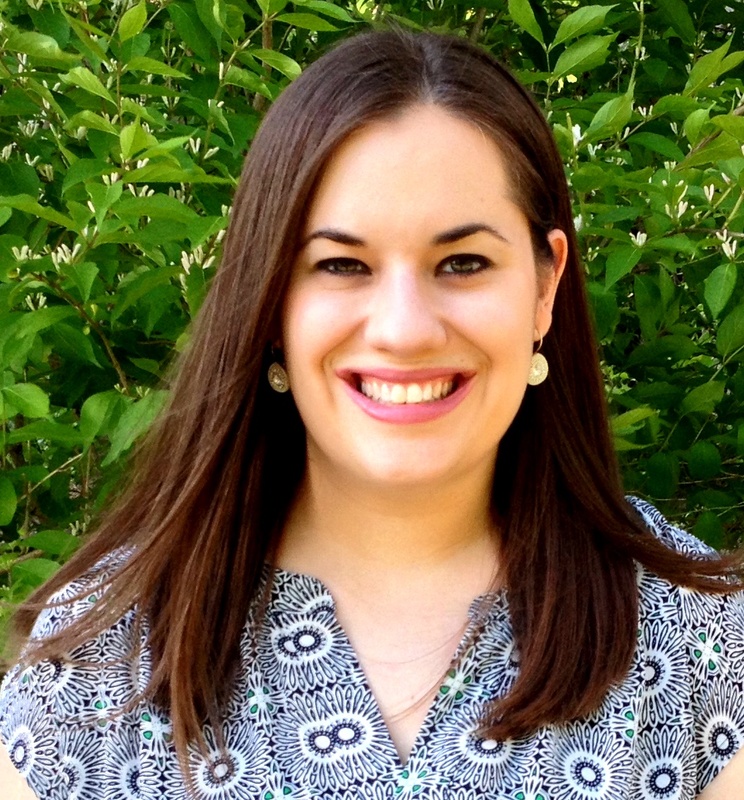 Pingback: My Unexpected 7th Grade Popularity | Adulthood… if I must.